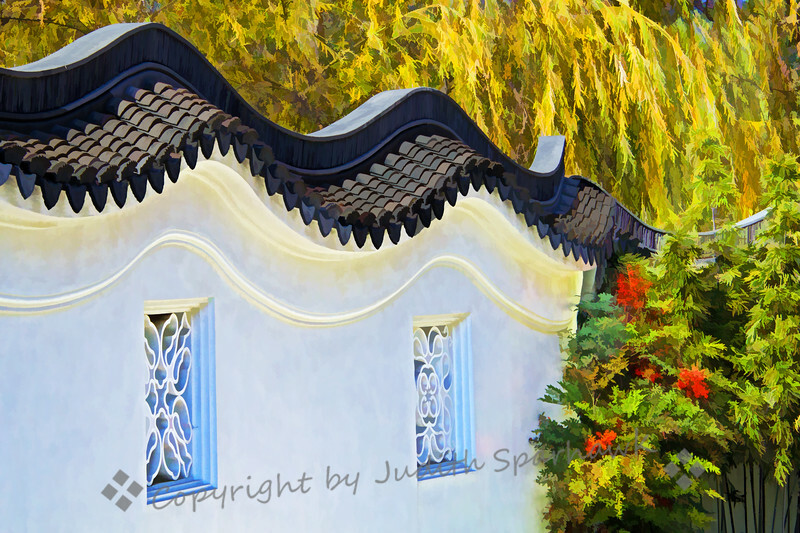 This image shows a small section of the outer wall along the entrance to the Chinese Garden, Huntington Library, Pasadena, CA. I liked the wavy line of the roof and the patterned window openings. I used a Topaz Labs filter to give it a painterly effect.